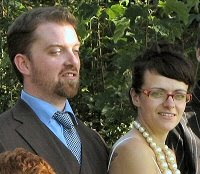 My nephew Dan married Kerry yesterday, what a wonderful event. It turned out to be a real family reunion. They threw a party for friends and family in delightful surroundings. They'd booked the village hall in Crondall, there was a hog roast, and a village cricket match was in progress in the field at the side. The weather was lovely, everyone was happy, and The Rooters provided some excellent music. A great day! It's lovely when families and friends get together - for any reason. So good to renew contact with those we love but rarely see. The journey was a bit of a nightmare with serious traffic jams on the way down and again on the return trip. British roads at their worst (and believe me, that's bad). It took more than three hours to get home, it would have taken only two if the roads had been clear. There's a lesson there, don't you think? Sometimes in life the journey is hard. It's good to know what the destination is and grand to know there's a party or a home at the end of the trip. The party was a family occasion in more ways than one. My brother-in-law, Neil, plays lead guitar with The Rooters, Kerry had decorated her own cake, and I was just one of many family photographers there to catch the scene for posterity. Just to add to the family atmosphere one of my sisters couldn't make it. Why? Because her daughter gave birth to a son! More rejoicing and congratulations. So, in conclusion - Dan and Kerry we wish you wonderful years together and much happiness - little Will, we wish you a wonderful life too. Abundant blessings for all of you! You are in our thoughts and prayers. It's really good to know you're here, reading the Scilla Blog - thanks for dropping by. Maybe you read many blogs, maybe you read only a few or even just this one. But however many you read, there are useful ways of coping more effectively with the 'blogosphere' - the rich world of blogging. It's a very rich world - if you know how to mine it for gold. Today we'll take a look at finding specific information using a tool called Technorati. Surfing around from blog to blog at random is interesting for a while, but suppose you want to check out what bloggers are writing about fire ants, or your home town, or a famous author, or a place you intend to visit on holiday? Many of you will use Technorati and other tools already, but if not - read on. Technorati is a website providing search functions tailored specifically for blogs. It's easy to use and it's very flexible. As an example, check this search result for posts on organic church. There are several things to note about this. The search looks complicated ("house church" OR "organic church") NOT China NOT Chinese NOT cell. It's not as hard as it appears, we'll unravel it in a moment but for now notice that it's made up of several search terms joined together. Now look at the results, hopefully all of them will be about house church. Each item is a blog post. They come from many different blogs, and are posted by a host of different people. They're presented with the latest posts at the top. You can scroll down and read any that catch your eye. Understanding the search - Lets look at this search in more detail. We'll start at the beginning. "house church" - This is in double quotes which simply tells Technorati to treat it as a phrase, not two separate words. 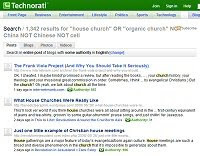 If we searched for house church we'd find all the posts that mentioned 'house' and all those that mentioned 'church', try it in Technorati and see for yourself! "organic church" works the same way, we're looking for the phrase, not the separate words. OR - This is an operator, when Technorati sees it is acts on it in a particular way. OR finds blog posts that contain either this or that, in our example posts will be included if they contain the phrase 'house church' or the phrase 'organic church' (or both). I've added brackets to make it clear this part of the search belongs together, both for our benefit and for Technorati's. NOT China - This tells Technorati to leave out any hits containing the word 'China'. Why are we doing this? It's because, in China, 'house church' doesn't mean church in a home, it mainly refers to churches that are not government approved. We've done the same with 'Chinese' and 'cell' as these terms remove some more posts we didn't want to include. Creating a search - The next step is to understand how to create our own search. Maybe we want to know about Siamese cats in California. Who's posted about that recently? Try a search for 'cat' - over 340 000 hits when I tried it. Now search for "Siamese cat". - just 900 or so results this time. That's better. And finally, try a search for "Siamese cat" AND California - now we're only seeing 29 hits. You should be getting the idea now. Decide what you want to read about and build yourself a search to find relevant blogs. Happy reading! Read more on searching Technorati from About.com. As we met, talked and prayed we came to realise how deeply we rely on the Lord's strength, not our own. We thought about the Christian women who have been imprisoned in Indonesia for running a Sunday School. 2 Cor 1:3-5 shows us that the Almighty Father is also our comfort. 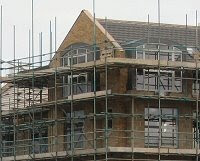 Great Doddington - Travelling or building? Rosie joined us this evening, it was great to have her with us. Thanks for coming Rosie, come again soon! For a long time we talked, sharing so much that had happened in our lives since we last met. Later, the Lord showed us that our lives are like journeys. Although we need to stop sometimes, we are not meant to camp for a very long time at any particular point. And it's quite impossible to build anything when on a journey. If we're not to camp for very long, we are certainly not meant to build anything. But isn't that exactly what we tend to do? Building something is not what the Almighty has in mind for us. He builds his church; that is enough for us. How many times can you repeatedly fold a sheet of paper in half? It's widely accepted that about six or seven times is the maximum possible, and a quick experiment with a piece of writing paper, a sheet of newspaper, or any normal paper you can find around the home will prove that this is correct. Or will it? What does 'correct' mean? What does 'proof' mean? A mathematician will tell you that however many times you do the experiment and find you can't fold the paper a seventh time, that is not proof. You cannot prove something to be impossible, only that something is possible. Folding a piece of paper six times and failing to fold it seven proves that six is possible, but not that seven is impossible. 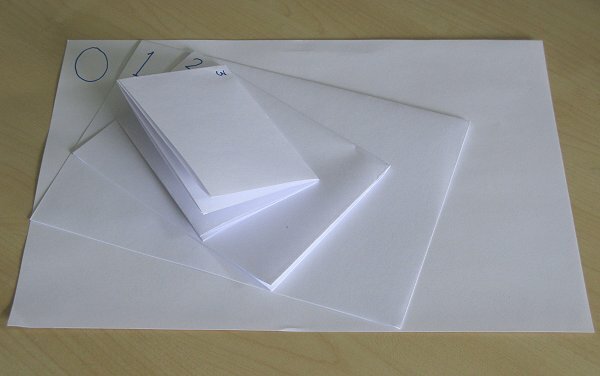 Remarkably, someone has managed to fold a piece of paper twelve times! Was there something special about this piece of paper? Yes and no. The paper was a long roll of toilet paper. The relevant attribute of this paper was not that it was especially thin (try folding a single sheet of toilet paper yourself) but that it was especially long. Britney Gallivan, a high-school student from California, was not prepared to take 'no' for an answer. She began by developing some mathematics for paper folding, and this showed her that a piece of paper that is long enough can be folded many more times along its width than a shorter piece. Armed with this knowledge she did the experiment - and managed to fold it twelve times. There are several lessons to be learned from this. What seems to be impossible may, in fact, be perfectly possible if we go about it in the right way. Technology has shown this to be true over and over again. Here are a few things that were once thought to be completely impossible - travelling to the moon, ships made of iron, building a flying machine, sailing round the world, the earth moving, continents moving, orbiting a satellite. Common sense often lets us down. It would be a wonderful thing to learn the value of not making assumptions or jumping to conclusions. But we are designed to assume and conclude, this serves us well most of the time and enables us to deal relatively simply with a very complex world. Britney Gallivan's paper folding achievements are described online. I encourage everyone to read them, if mathematics is not your forte you can skip that part, but please understand that it was the mathematics that led her to a simple, elegant, but entirely unexpected conclusion. With hindsight it seems obvious, but nobody had thought of it before Britney. Clever young lady! How's church in the UK? A friend in Florida just asked me this in an email; I thought I'd answer the question for everyone. In context, the question means, 'How is church life going on for you personally', not, 'How is the church doing in the UK as a whole'. So this post answers the first, personal question, not the second, general one. The fact is, things are going well, very well. Am I happy with the state of affairs? Yes I am, I have a sense of peace about it all, like the peace in the scene in this post. Can I see where it's all heading? No, not really. Does that mean I lack a vision for the way forward? No, not in the least! Let's unwrap that a bit. Let's start with the premise that church growth depends on running the church efficiently day to day, planning for the future, building up numbers, bringing in the necessary funding, putting up buildings, and growing people in maturity through teaching and discipling. That is the standard institutional model that most of us work by. In that case church growth can be measured in the same way that success in business can be measured. Set some targets, aim at them, and then measure success as achievement against those targets. But there is a problem with that approach. Nowhere in the Bible do we find anything that looks remotely like the 'standard business model'! If we begin with the premise that church growth depends on Jesus living in his people and guiding them individually and together, we get a very different definition of success. Success must now be measured in terms of the quality of relationship we have with Jesus and with one another. If we are rightly built into the body we'll see that Jesus does indeed build his church. Paul understood this when he wrote Romans 12:1-13. We are to work together in a new way, a totally unexpected way, and it's assuredly not the way of the world or of business. Paul writes several times and at some length about life in the body and how we should expect to be built as a natural outworking of love. This 'building through loving' requires Jesus' love towards us, our love towards him, and finally our love towards one another. It couldn't be simpler. Does Paul ever (even once) write in terms of setting targets or having goals for building the church? No he does not. So, in the light of all that, how's church been going for me recently? Well, I've met some new people in the last few weeks and it seems to me we're likely to be keeping in touch and meeting together as and when we have the opportunity. I suspect we're going to find ourselves built and encouraged in unexpected ways. At the same time we have a friend who was ill, had no reason (medically) to expect to survive, yet has been told he seems, remarkably, to be in the all clear. Then there's the difficulty explained in an earlier post. I haven't had a reply yet, so I'm continuing in prayer and will keep thinking about the various issues involved. What I can say is that through some of my new friends I'm now aware of a man who is seriously interested in contacting the young people involved, and has the faith, the personality, and the experience to engage their interest. And I also know other friends on the edge of town who might be keen to help with that. All of this is encouraging and exciting, so I think the answer to the original question is, 'Oh yes, things are going along very nicely thank you. Jesus is in control, and I have no specific targets because I have no idea what he will do next. But it will be good! My personal targets are to get to know Yahshua better day by day, and to grow increasingly in relationship with my brothers and sisters. Horsecastle Chapel is a free evangelical fellowship in Yatton, North Somerset, England. It has its own building, a modern, purpose-built structure. But before the new building was constructed, Horsecastle Chapel occupied an older building on the corner of Horsecastle Road (now Horsecastle Close) and Wemberham Crescent. 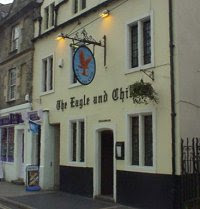 The image shows that original building, now in alternative use. When Judy and I first joined the group of Christians meeting there, the old Brethren origins were still evident. Something we loved right away were the 'Open Meetings' held once a month on Sunday mornings. We would gather in the large, square meeting room, the raised platform at the front was unoccupied, there was no invited speaker, nobody presided over events. We arrived, said 'Good morning' to one another, sat down in our seats, and quieted our minds. After a while someone would pray or read from the Bible, someone else would say, 'Let's sing hymn number 128', someone else would teach from a Bible passage. These meetings were always orderly and respectful. There were no prophecies, no tongues, such things were unheard of in these circles and the accepted view was that they had passed away for good after the Bible was completed. But in every other way the old 'Open Meetings' allowed the Holy Spirit free access to prompt any man to share (eyebrows would have been raised, I think, if a woman had presumed to speak in the meeting). Nonetheless the Holy Spirit was present and active and we had such amazing times, knowing in our hearts that things were moving along the right lines even if they were not quite as 'open' as we would have liked. Sadly, we arrived at a time when these meetings were already dwindling away. After a year or two of this wonderful first taste of organic, participatory meeting, the decision was made to close them down completely and invite preachers from other assemblies to come and speak instead. We recognised even then that these meetings were wholesome. We sensed that the freedom, even though incomplete, was all the Spirit needed to deal directly with us. We also knew that his active participation in the body was missing when an invited speaker brought a prepared message and a list of hymns to be sung. It wasn't that the Spirit was absent from the preparation or delivery of the message, nor from the singing of the hymns, just that he wasn't leading that sort of meeting because we were leading it. A meeting cannot have two leaders - either we do it, or he does it. And today, the truth remains the same. Men and women were not made to be head of the church, nor head of a church meeting. That is the Messiah's place and his alone. If we want to run the meetings he won't prevent us, but he will not be fully present either - not because he chooses not to be, but because we don't let him. It remains as true now as it was in the '70s. When we choose to give him the freedom to do what he wants we will experience his awesome and glorious presence. It's true of our individual lives, it's true of our lives shared in community. The choice is ours - do we want him to make the decisions or do we prefer to make them ourselves? I choose him - how about you? 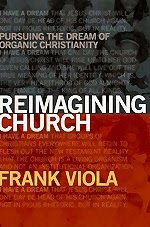 Additional note - Brethren assemblies had many things right, if you are part of the current move towards organic church you will find this interesting. There's little in this world that is truly new. I've just read a distressing news report about a local family that are having their lives ruined by thoughtless, cruel, young people throwing stones at their home, calling out abusive remarks, and even breaking windows. The news report is online, take a look for yourself. Let's list out a few basic facts about the situation and about me. After all, I live in St Neots, I am involved whether I wish to be or not, I'm part of this community. The young people doing this are probably bored, perhaps they have nothing useful to keep them occupied. They probably get swept along in the moment, they each want to outdo the others. It's cool to do this stuff. There may be one amongst them who leads them into stuff they wouldn't otherwise do. The police are only able to respond to crimes that are committed, they don't have the remit or the people to deal with any underlying problem. The people being victimised can do little to help themselves. Mallard Lane is not the most prosperous part of town, hardship is a reality for some and local people are struggling with issues which include vandalism. Here's a map of the area (you can also view a larger map). The pin in the map just marks the street, not the position of the household under attack. So what can I do? What can anyone do? Here's what I propose, I will begin by praying. I'll share this story with the friends I meet with on Thursdays, we can pray together. 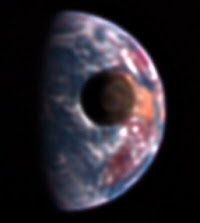 That I'll be shown clearly what, if anything, I am to do. That the trouble will stop and the pressure be lifted. That the woman in the story will be healed. That's a start. But in practical terms here's what I'm thinking. Make contact with the people who are being victimised. Invite them round for a BBQ some time soon. Send letters to the local church explaining the background and asking for prayer and any practical input they feel led to offer. Consider encouraging a meeting to include the victims, the police, young people from the area (if possible), the church, neighbours, other organisations that might be able to offer support, help, or advice. So far I have little idea where the Lord will lead me in this, but I know it would be wrong to 'just forget'. I'll post to the blog again to let you know what happens next.